You can only download one. 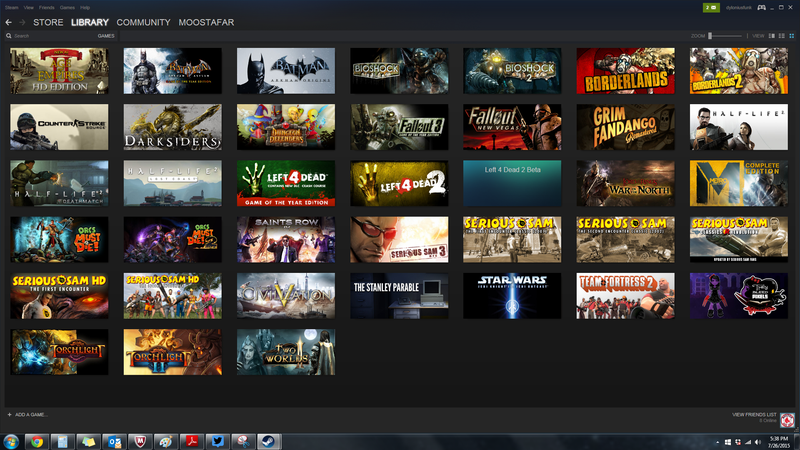 This is my Steam Library after a deletion and reinstall. These are all the games I have to download. What if I can only download one? This is just a fun game I thought off as I was trying to figure out which game to start downloading first. What if, for some crazy reason, I could only pick one game? If I try to download another one my computer blows up. Which should I pick? What would you pick? And what if it was your game collection, be it Steam, Play Station, Wii, Xbox, what have you. What if you could only pick one? What game would give you the most pleasure and satisfaction that it would be worth taking above the others. Think about it, I would love to hear what you guys come up with. And i’ll give it some thought because to be honest, I have no clue right now.